Found 16 file extension associations related to ABBYY Finereader Pro and 15 file formats developed specifically for use with ABBYY Finereader Pro. 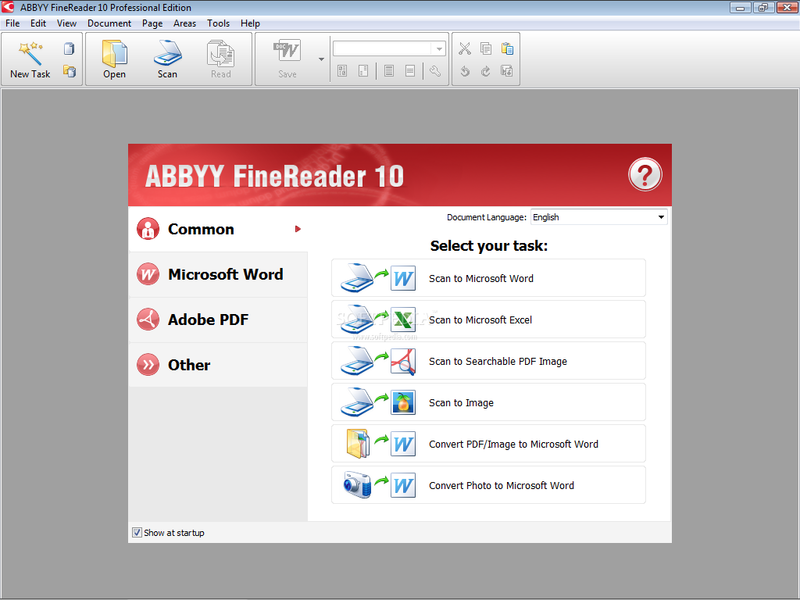 ABBYY FineReader Professional OCR accurately converts paper and image documents into editable formats including Microsoft Office and searchable PDF – enabling you to reuse their content, archive them more efficiently and retrieve more quickly. FineReader eliminates the need to retype documents and ensures that important information is readily available. It instantly provides access to the entire document of any size and supports 190 languages in any combinations. Convert scanned document to text - Recovering text from scanned documents and pictures. If you need more information please contact the developers of ABBYY Finereader Pro (ABBYY), or check out their product website.